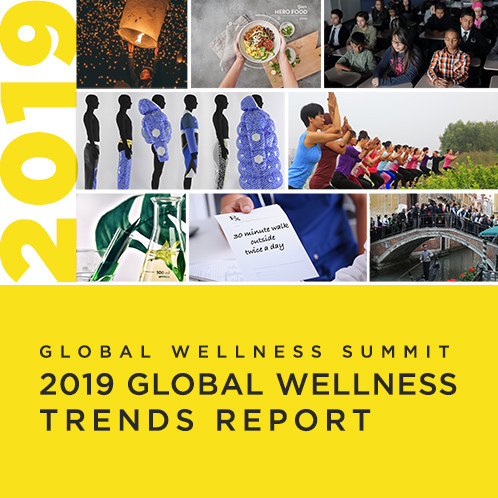 Each year delegates attending the Global Wellness Summit are invited to provide their expert insight on current developments in the wellness industry in their nation. Below you will find Country Briefing Reports aggregating all the submissions we received over the past years and the individual reports by country. 2015 Patricia Berry-Greenidge, Principal & Spa Consultant, PBHC Clinic & School of Holistic Therapies Inc.
2015 Noel Asmar, Founder and CEO, Noel Asmar Uniforms Inc.
2014 Noel Asmar, Founder and CEO, Noel Asmar Uniforms Inc.
2015 Joy Menzies, Managing Director, Destination Spa Management China Ltd.
2011 Fifi Kao, Chief Editor, SinoMedia Co. Ltd.
2011 Matthias Voit, Chief Executive – Elite Interiors Divison, Dornbracht GmbH & Co.
2010 Dzigbordi K. Dosoo and Kenneth Kpodo, CEO/COO, Allure Africa, Ltd.
2009 Dzigbordi K. Dosoo, CEO, Allure Africa, Ltd.
2011 Catherine Feliciano-Chon, Chairman & CEO, Catchon & Co. Ltd.
2010 László Puczkó, Managing Director, Xellum Advisory Ltd.
2012 Rekha Chaudhari, Managing Director, JCKRC Spa Destination Pvt. Ltd.
2012 Jesper Hougaard, Managing Director, Serena Spa Pvt. Ltd.
2011 JC Kapur, Cofounder & CEO, JCKRC Spa Destination Pvt. Ltd.
2011 Rekha Chaudhari, Managing Director, JCKRC Spa Destination Pvt. Ltd.
2010 Rekha Chaudhari, CEO, JCKRC & CO.
2011 Dr. Bra Mooryati Soedibyo, President, PT. Mustika Ratu, Tbk. 2018 Yoshikuni Kato, Founder & CEO, LONGNOW K.K. 2016 Tomonori Maruyama, Manager/Chief Research Consultant, Mitsui Knowledge Industry Co., Ltd.
2015 Tomonori Maruyama, Manager & Chief Research Consultant, Mitsui Knowledge Industry Co., Ltd.
2015 Yoriko Soma, CEO, Conceptasia Inc.
2014 Tomonori Maruyama, Chief Research Consultant/Manager, Mitsui Knowledge Industry Co., Ltd.
2014 Tae Kawasaki, Founder and CEO, The Day Spa Co., Ltd.
2013 Tomonori Maruyama, Manager and Chief Researcher, Mitsui Knowledge Industry Co., Ltd.
2012 Tomonori Maruyama, Manager and Chief Researcher, Mitsui Knowledge Industry Co., Ltd.
2012 Tae Kawasaki, President, The Day Spa Corp, Ltd.
2012 Hirokazu Iida, President, Shuei Wellness Co., Ltd.
2011 Tomonori Maruyama, Chief Researcher, Mitsui Knowledge Industry Co.
2010 Hirokazu Iida, President, Shuei Wellness Co, Ltd.
2010 Tomonori Maruyama, Chief Researcher, Mitsui Knowledge Corp.
2009 Tomonori Maruyama, Chief Researcher, Mitsui Knowledge Corp.
2016 Talal Mohammed Bin Ali, Founder & President, Enaya Care International Co. Ltd.
2015 Talal Mohammed Bin Ali, Founder & President, Enaya Care International Co. Ltd.
2014 Talal Mohammed Bin Ali, Founder & President, Enaya Care International Co. Ltd.
2013 Talal Mohammed Bin Ali, Founder & President, Enaya Care International Co. Ltd.
2011 Paul Linder, General Manager, Chiva-Som International Health Resorts Co. Ltd.
2013 Geraldine Howard, Co-Founder and President, Aromatherapy Associates Ltd.
2015 Samer Hamadeh, CEO, Zeel Networks Inc.
2015 JoAnn Kurtz-Ahlers, President, Kurtz-Ahlers & Associates, LLC. 2015 Nancy Nemer, President, Red Cashew, Inc.
2014 Mia Kyricos, Chief Brand Officer, Spafinder Wellness, Inc.
2013 JoAnn Kurtz-Ahlers, Owner & President, Kurtz-Ahlers & Assoc., L.L.C. 2012 JoAnn Kurtz-Ahlers, President, Kurtz-Ahlers & Associates, LLC. 2012 Jay Williams, Physiologist & Medical Nutritionist, Healthy Aging Resources Inc.
2011 Pete Ellis, Chairman & CEO, SpaFinder, Inc.
2010 Sallie Fraenkel, COO, SpaFinder, Inc.
2010 Dr. Howard Murad, CEO & Founder, Murad, Inc.
2009 Susie Ellis, President, SpaFinder, Inc.